I rounded out the day with the National Family Partnership’s own Alicia Georges, who now is the Vice President and head of Volunteers at AARP, because what would Red Ribbon Week be without dedicated volunteers?! Finally, I flew to Tallahassee for the Governor’s Council on Drug Abuse to talk about Red Ribbon Week Across America and what it takes to make Red Ribbon Week as effective as possible. The first two necessary ingredients are Faith and Hope - believing in people’s ability to make good decisions when the environment is reinforcing them with healthy, positive messages. Presenters who followed my presentation started by saying their children had to wear Red today to school! Red Ribbon immerses people in the message. On my flight home, the Orange County Commission was highlighting Red Ribbon Certified Schools. 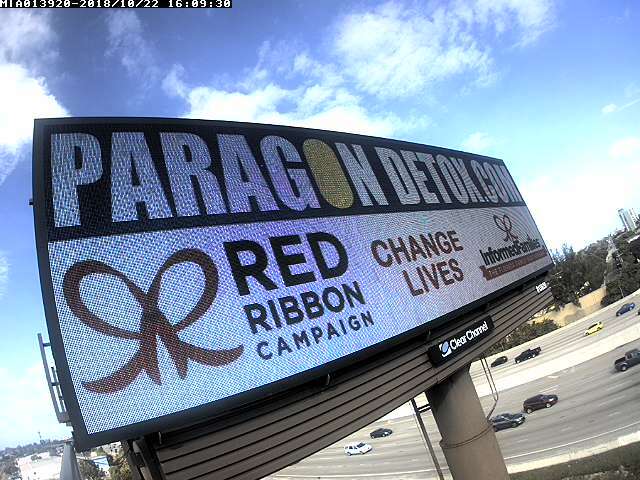 And Paragon Detox, a drug treatment program, installed a billboard on 95 in Palm Beach County spreading the Red Ribbon message. When my head hit the pillow, I read one last text. 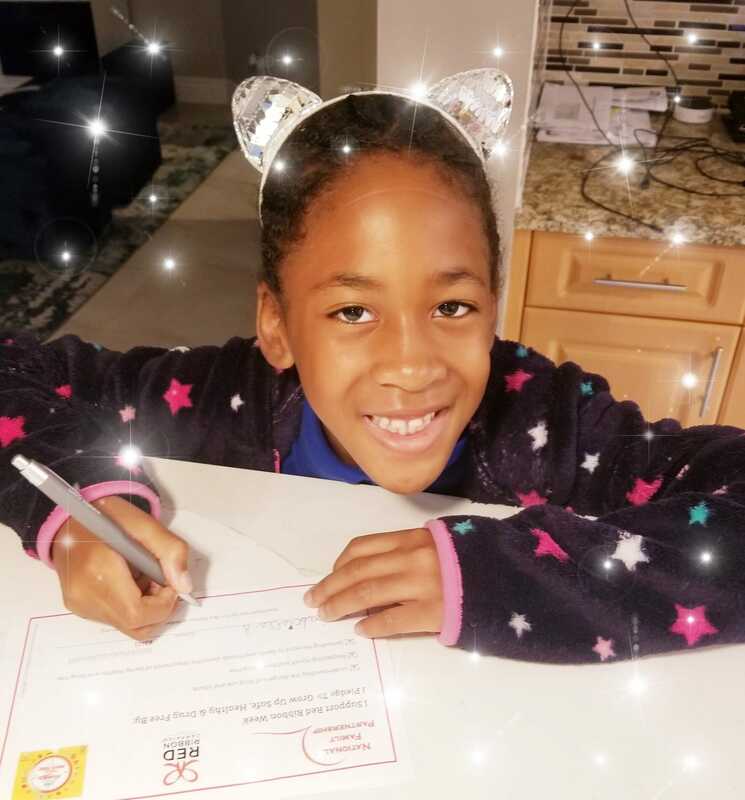 It was from Simone Knight, now a VP at Univision, showing me a photo of her daughter taking the Red Ribbon pledge in her school in Pembroke Pines! Way to go Gabby. We are proud of you. Red Ribbon is everywhere and I am grateful to all of you who deliver Red Ribbon Week messages in Fun and Effective ways to our children. What did you do for Red Ribbon Week? I look forward to hearing from you.